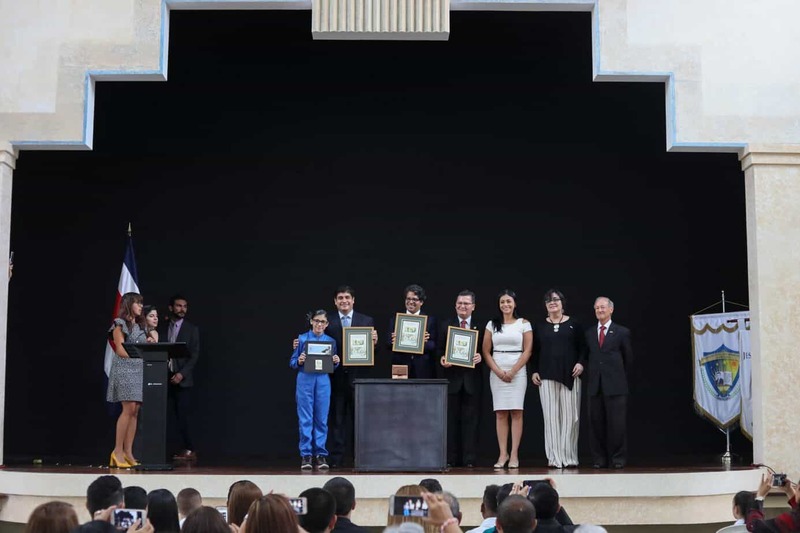 The Costa Rican and French governments have agreed to work together against climate change, aiding environmental efforts in each other’s countries, and teaming up in the international negotiations for a new United Nations climate change treaty. 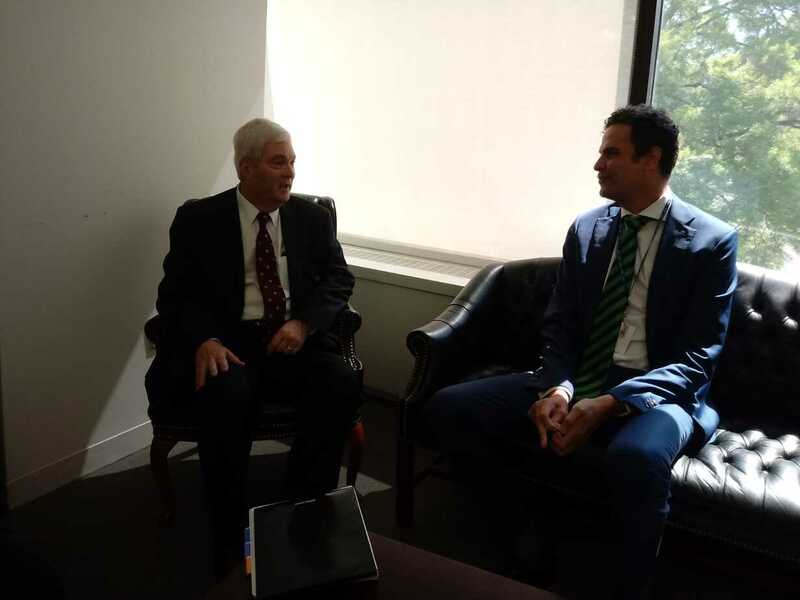 Brice Lalonde, France’s ambassador and chief negotiator for climate change, and Costa Rican Environment, Energy and Telecommunications Minister Roberto Dobles signed a declaration Wednesday laying out general ways the two countries plan to cooperate on climate change issues. “We all know of Costa Rica’s excellence in biodiversity,” Lalonde told The Tico Times as teams from both governments hammered out the final wording of a more detailed agreement – to be signed later in the week – in a shaded room at the Central American Bank of Economic Integration, in western San José. “Costa Rica is already a sort of environmental legend for biodiversity in the world. And everybody knows about the Payments for Environmental Services program (by which landowners receive money for reforesting or conserving existing forest on their property), but we didn’t know about the climate change program,” Lalonde said. In the agreement, France commits to providing support for Costa Rica’s National Climate Change Strategy, and President Oscar Arias’ sweeping environmental program Peace with Nature, as well as provide help in water and waste management, public transportation, energy efficiency and geothermal development, among other areas. Neither Dobles nor Lalonde would say if the cooperation would include French funding for Tico programs, though Lalonde said long-term loans at favorable conditions are a possibility (see separate interview with Lalonde, at right). Costa Rica, meanwhile, would advise France on the protection and management of biodiversity and forest conservation and reforestation, based on Costa Rica’s successful Payments for Environmental Services program, run by the National Forestry Financing Fund (FONAFIFO). 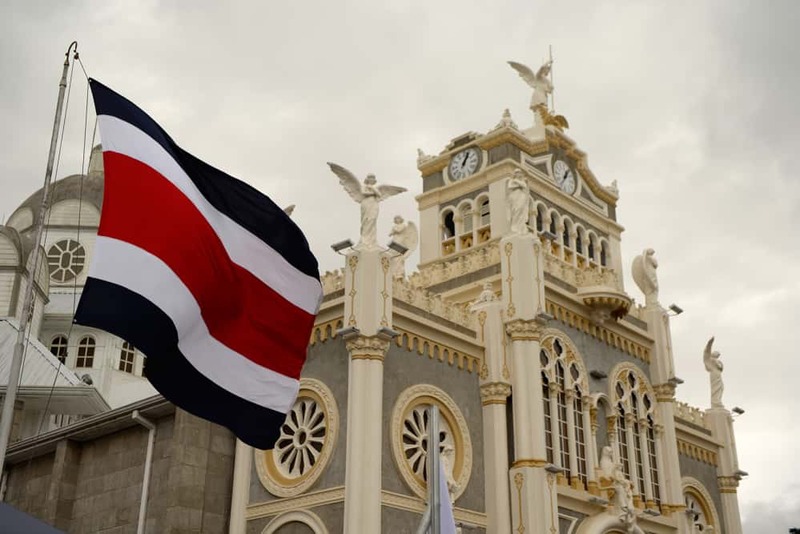 “Costa Rica is becoming a global reference in the fight against climate change, on how to link it to economic development, to national competitiveness, to social progress, to the quality of life for the population and of course environmental protection,” Dobles said. The two nations also agreed to work together on international climate change projects and in negotiating a replacement for the Kyoto Protocol. The Kyoto Protocol, a 1992 United Nations treaty under which countries agreed to a series of measures to reduce the emission of greenhouse gasses, expires in 2012. Dobles and Lalonde both agreed that the two countries share a similar vision for the agreement, emphasizing that the final treaty must recognize the voluntary efforts that both nations have made that go beyond what is required under the Kyoto Protocol. Costa Rica, classified as a “Non-Annex” country in the agreement, is not required to reduce emissions. Dobles explained that negotiators will choose a particular year as a “baseline” year, and countries that ratify the agreement commit to lowering their emissions in reference to that year. Dobles said he and his French counterparts are concerned that the work done to lower emissions now, independent of any treaty, could set them back in the future. “We want to make sure that our efforts are recognized as a part of this base, so that we are not penalized for having acted correctly, with anticipation,” Dobles said. Brice Lalonde is the French ambassador and chief negotiator for climate change. TT: Is there a common perception in France that the country is seeing the affects of climate change? BL: Sure. We have to harvest wine one month earlier and we have to leave more leaves because the bite of the sun is getting a bit too strong on the grapes. So we have to change our way of growing grapes. Does that affect the quality of the wine? No! Of course not! We know how to manage it. But it’s just an example. Just before I came here there were two gales and these gales, according to weather statistics, are once every 200 years. There were two, now just two weeks between each of them. These gales tore down half of the trees in the forests, tore off all the roofs, the electric lines; some people were killed. Where did the idea start from for this cooperation between France and Costa Rica? I think there are two main reasons. The first reason is because we think there are lots of things we can do together. We can learn a lot of things from each other. We could improve our technical and cooperation in different areas. And second, and I think this is more interesting, we could act together in the international negotiations (on a new United Nations climate change treaty) with the idea that we have to do something like what the United States called once the Coalition of the Willing. Even though France and Costa Rica are not in the same category in the international negotiations, they don’t have the same obligations, etc. – nevertheless they are two countries that are doing things unilaterally, with no obligations to do so, because they want to show what is possible and they want to show the example. Why not show that we can do things without waiting? All countries could take that type of example as a model. How do you think that Costa Rica can help contribute to France’s environmental initiative? Costa Rica is already inspiring us in biodiversity management, with the payment for environmental services, with the biological corridor concept. Also, you have some geothermal (energy), and we think it’s one of the promising tracks of the future. And how can France turn around and help Costa Rica, and where are the areas where you see Costa Rica needing help? 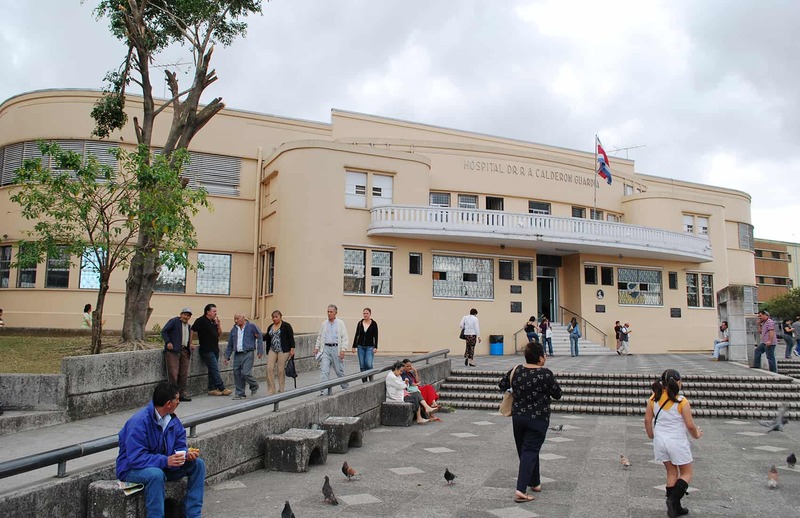 The picture of Costa Rica’s environmental excellence is not matched in every area, for instance solid waste and water management, and particularly wastewater management. We could help in these areas, where we have very good expertise and very good companies and know-how and a lot of experience. We also can help in energy policies, energy efficiency and renewables. We can help in something that seems to be a bit complicated here – urban planning, and also urban transportation, public transportation, which we are fairly good at. What would this cooperation from France to Costa Rica look like? First, we should have more French people coming here, because it’s very interesting and inspiring to come here, and we should know each other better. We are thinking of having an airline come here, direct from Paris to San José. We are thinking about that. Of course it means bringing missions from both sides, to see what we can do in France, and coming here to see if we can work on specific projects. The question of how you do it, how you finance it – that comes second. You have to first start with the ideas and the actions and the projects, and after, you see the financial part of it. Is there a possibility that France can give financial support to Costa Rica and projects here? Is that something the government of France is considering as an option? Well, we have different tools. It’s surely an option. Usually we do that with loans, long-term loans with special conditions. Just before coming here I was in Indonesia where the French government gave a loan of €200 million ($255 million) to the Indonesian government for implementing its climate change policy. There are different ways, but I’m no specialist in how it works, in that monopoly stuff. 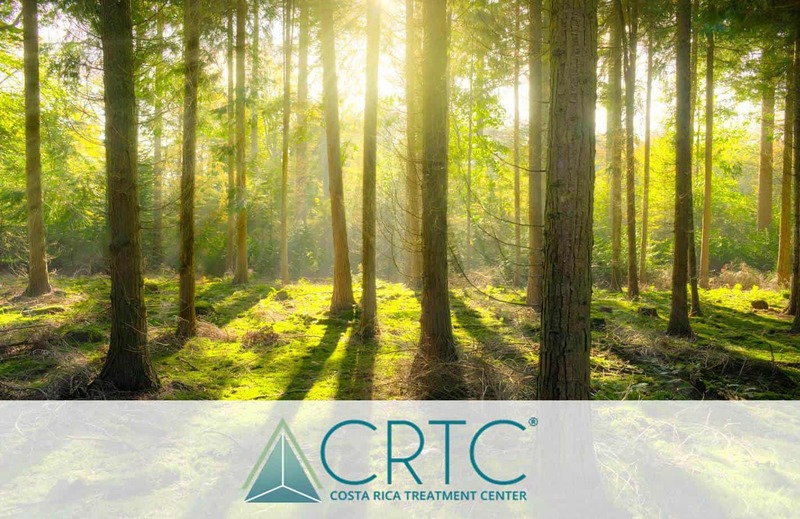 From what you’ve seen since you’ve been here, do you think that Costa Rica becoming a carbon neutral country by 2021 is a feasible goal? I’m very impressed by that goal. You know how it is, I think the big value of Costa Rica’s program and actions, is that most countries believe that climate change policy is a huge mountain, and they are afraid of the mountain, which they don’t know. Costa Rica is showing that when you start walking, you’ve done half the work, and really it’s not so high. 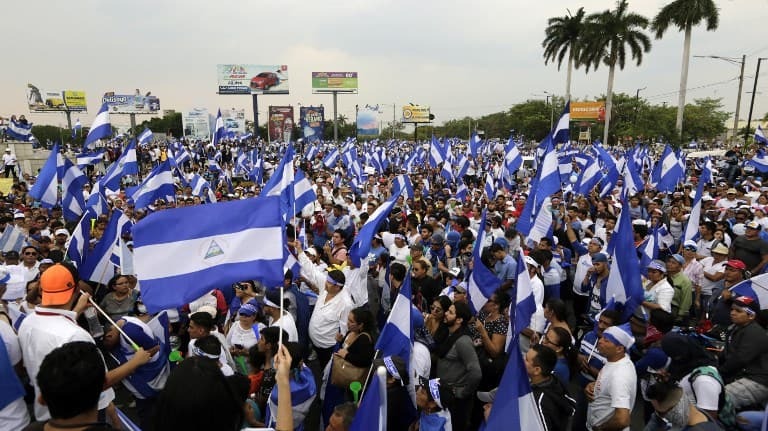 That’s why Costa Rica is such a model – doing that, with no obligation to do so. Roberto Dobles is Costa Rica’s Environment, Energy and Telecommunications Minister. TT: Is Costa Rica seeing the effects of climate change? RD: Yes. Costa Rica is seeing it in dry seasons that are drier and longer, with water supply problems in many regions. It is seeing more intense rains during the rainy season, which are causing the destruction of agricultural infrastructure and roadway infrastructure, death, pain and suffering. The agricultural sector is going to deteriorate, and production is decreasing. The health sector is going to deteriorate. New diseases will emerge and existing diseases, like malaria and dengue fever are going to exacerbate. Biodiversity is going to be affected. The coastal areas are going to be affected. The salinity of the ocean water and the acidity are changing. The water level is rising, and many regions are going to be flooded. The temperature is rising, and so fish migrate to areas that are colder, where they feed, so they go north or south, and the tropics are going to be left with no fish. The oceans are already overfished, and our region is no exception. So water and food sources – agriculture and fishing – are going to be tremendously affected. What are some of this government’s achievements over the last three years in the area of climate change? First, to have structured a strategy that today is considered a global reference, as (French climate change) ambassador (Brice) Lalonde told the press yesterday at Casa Presidencial, the work of Costa Rica has been extraordinary and has been an example for the world, from a country that is not rich. This proves that combating climate change is not just about money, money, money, but rather, it requires actions that by all means can be done, and with climate change, the actions transcend reducing greenhouse gas emissions. For example, to reduce the emissions in the transport sector requires a modern public transportation system. Independent of a reduction in emissions, this is going to improve the lives of it people that use public transportation. It requires a decongestion of the roadways, which will improve the lives of those that use them. It requires the introduction of new technologies and a reduction of taxes on those new technologies. This will benefit people so they can acquire hybrid vehicles, for example. The criticism that I have seen is because of a lack of information – that they believe that the climate change program is simply planting trees. These are people who don’t inform themselves. And is it much more than that? A country like France has just recognized that it is much more than that, that it is an example for the world to follow. That is a global recognition that something is being done right. Some people don’t know what we are doing, and they criticize what they know nothing about. You are almost in your last year of the administration. What can you do so that the initiatives continue and the goal of becoming carbon neutral by 2021 remains feasible? First, this is not a government program, it is a national program. We have gotten all the sectors involved: The business sector, the educational sector and many NGOs. This transcends the temporary work of one administration, because the stakeholders are engaged. They are already committed, and they see that it is an advantage for them, that it is a competitive advantage for businesses. How can Costa Rica help France in the area of climate change? Well, it’s a matter of learning together. Costa Rica and France are countries that have a very similar vision and are disposed to launching initiatives unilaterally. We alsohave a lot of capacity in our forests to capture carbon, which France doesn’t have. So the idea is to exchange experiences between the two countries. Are there particular areas where France has experience it can lend to Costa Rica? Yes, for example the whole management of the energy sector, the public transport sector, the whole area of adapting the water sector to climate change – these are fields where France can help a lot.